Daffodils, chicks, sunshine and buzzing bees… nothing signifies the arrival of spring quite like the colour yellow. 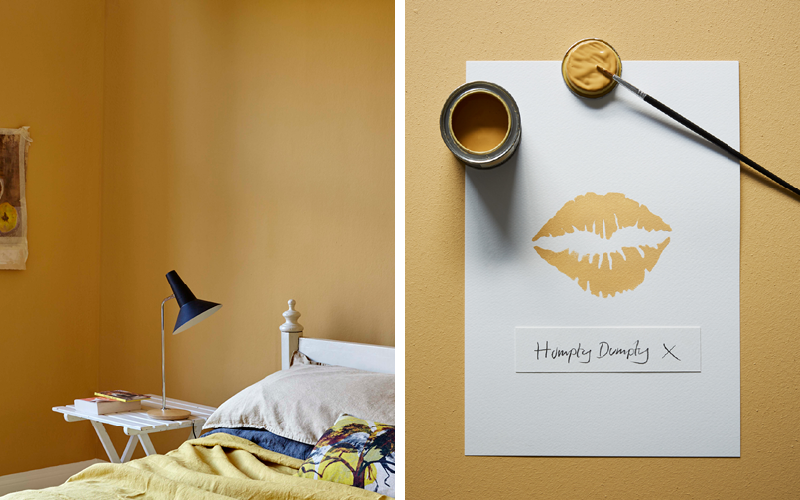 From the light sorbet shade of Lemony, to the sunny pop of Daisy Chain, to the mellow, earthy tones of Humpty Dumpty, decorating with yellow is the perfect way to bring light, warmth and happiness into our homes! Yellow works brilliantly with grey and we love the combination of our new true-grey Hippo Hooray paired with our boldest yellow Daisy Chain. This unexpected partnership adds a little something extra to this fun children’s bedroom! Yellow and white are a classic pairing, which is why it’s such a great choice for kitchens. For a subtle retro appeal, get creative with masking tape and add some chevron stripes to you décor! 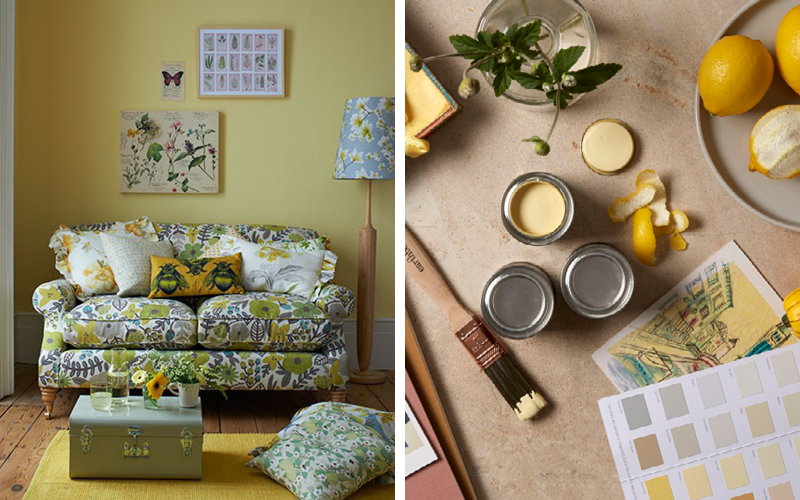 Jemima is a delicious shade of lemon that adds a welcome dose of country charm to this nature-inspired living room. As it’s a little lighter in tone than Daisy Chain, Jemima is wonderful paired with greens and blues and floral patterns. We hope we’ve inspired you to add a sunny touch of yellow to your décor. 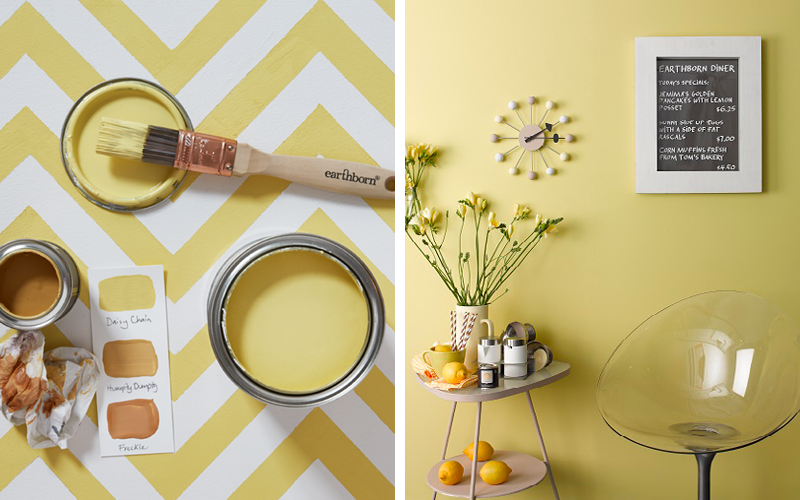 Click here to shop our samples and try out our beautiful yellow paint shades in your home!